Records of the Department of Wildlife Conservation show that on an average 56 humans and 121 elephants are killed each year due to the ongoing human-elephant conflicts (HEC) prevalent in many district of Sri Lanka. When anyone is killed by a wild elephant, the Department of Wildlife Conservation has a compensation scheme. Rs. 50,000.00 is paid to the spouse or the next of kin. Another 50,000.00 is made available for the children of the victim to share. This is the figure irrespective of whether there are one or many children in the family. However the money is not given immediately but kept in a Savings Account till the child or children reach the age of 18 years. Therefore this is not available to the child when he/she needs it most i.e. 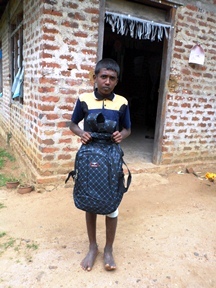 to be able to afford schoolbooks and equipment required for school. BECT found that elephant conservation measures could not be implemented without addressing the needs of the people who are affected by elephant depredation. Hence there is an immediate requirement for funds to help these children throughout their education. 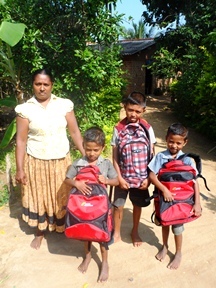 BECT decided to assist these children in a tangible way. The Department of Wildlife Conservation gave the BECT a list of 72 families of those who had been killed by a wild elephant after 2003. The staff of the BECT visited each of these families and obtained details of their present socio economic situation. They also looked at the immediate needs of the school going children. 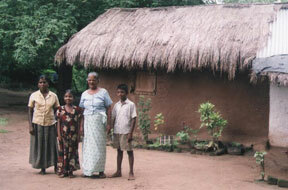 The majority of the victims had been farmers or labourers, so these families are basically very poor. 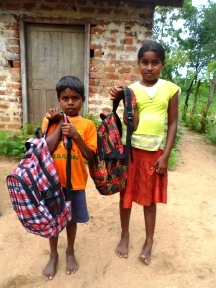 Many of the children in these families could not go to school since they could not afford to buy schoolbooks etc. After the survey the Biodiversity & Elephant Conservation Trust made out a list of the requirements of school children from the families interviewed. We distributed parcels of books to all these children before the new school term started. 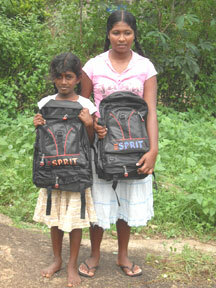 BECT is attempting to find donors to support these children to continue their education. 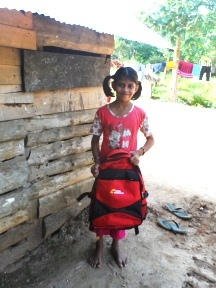 Support can range from providing books/ clothes/ food/ money to full or partial sponsorship. 72 children received school books for 2009. 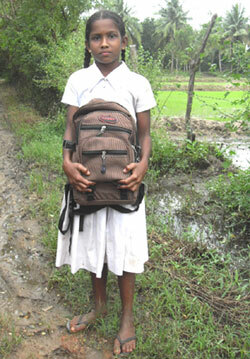 For 2010, 106 children in 11 districts received school books. 134 children in 10 districts received school books for 2011 and 125 children in 10 districts for 2012, 116 children in 12 districts received school books for 2013 and 119 children for 2014.